Enable was part of a working group to guide delivery of the GLA funded improvements to Balham Town Centre, led by Wandsworth’s Economic Development team. This resulted in two arts commissions by Tod Hanson. 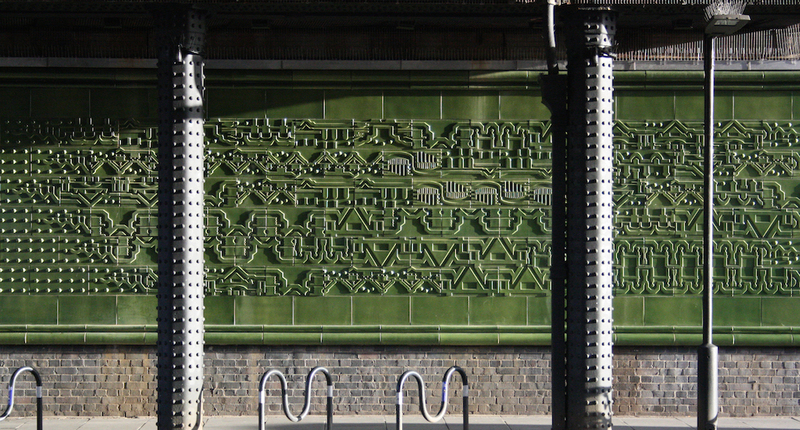 Balham Rail Bridge underpass has been improved by a tiled design treatment influenced by tiling on the Northern Line and the architectural language of the town centre. 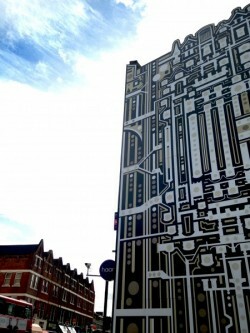 A temporary artwork now hides what was known locally as ‘the ugly wall’; an end of terrace façade onto the High Street. A bespoke architectural design now conceals the wall. Lit at night, these pieces welcomes visitors to the town centre arriving from the north and south. Creative hoarding, Balham Rail Bridge 2015 c Tod Hanson.